Integrative medicine is a beautiful relationship between the medical professional, the patient, and holistic treatments. For so many years, doctors have tried to treat the symptoms of an illness and often the medication has more severe side effects than the illness itself. Today, it is becoming more and more well known that there needs to be a more natural approach – an approach where the root cause of the illness is treated, rather than the overlying symptoms. At Bliss Wellness Center, we use naturopathic medicine to naturally heal and restore balance within your body. The Chinese culture has used herbs for thousands of years and the benefits are finally coming to light in traditional American medicine. Chinese herbs are used to treat ailments from simple aches and digestive problems to anti-aging treatments. If traditional treatments aren’t working, or the side effects are too great, try these most popular Chinese herbs. Licorice Root or Gan Cao is often used in combination with other herbs because of it’s easy flavor and is most commonly used for its detoxification power. Licorice is used in small amounts, but the effects are still powerful. Try licorice when you want to recover from the flu or a cold faster, if you struggle with depression, or if you have asthma or heartburn. Find Out How Chinese Medicine Works! Goji or Wolfberries are becoming more and more popular in Western society, but have been used in Chinese medicine for over 2,000 years. The berries can help improve eyesight, will help to lower blood sugar levels, will give you a boost of antioxidants, will improve skin health, and they also have anti-aging benefits. Panax Ginseng is among the more popular Chinese herbs that have holistic health benefits. Commonly used in tea, this little plant packs in many healing properties. It can be used to give you a quick boost of energy, and it will enhance your immune system, help breast cancer, menopausal pains, and high blood pressure. Keep in mind, there is also Red Ginseng which could have adverse effects for those with cardiovascular problems. Astragalus is thought to be have been in use for more than 4,000 years and is known for improving the immune system. Other natural benefits you could see are an improved metabolism, digestion, and can help wounds or injuries heal quickly. In Chinese culture, Astragalus is used to raise “Qi” or life energy. Also known as ginger, this is well known in Western culture for helping relieve nausea, muscle pain, and soreness. 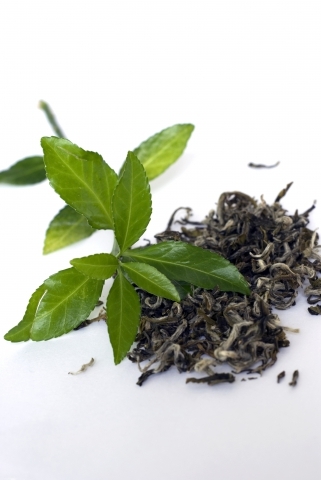 When used in Xiao Yao San, it can be used for treating stress and helps with digestion. Aconite is a hot herb and is used in many Chinese medicines. When prepared correctly and used in combination with other herbs, it can treat infertility, arthritis, and rheumatism. Ciwujia is a traditional Chinese medicine whose primary benefit is anti-aging. If you are feeling fatigued, give this herb a shot and feel your body become energized. This herb also has anti-inflammatory properties and can help regulate the central nervous system. Mushrooms are something you can get at every local grocery store, but black and red Reishi mushrooms are invaluable to Chinese medicine. If you consume antioxidants, these mushrooms will improve their effects. They also give a general sense of calm to your body and will help anyone dealing with problems falling asleep. 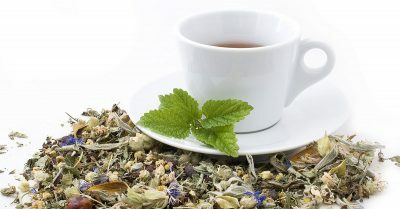 Dang Gui can help your muscles to relax so this herb can be used to treat many different ailments. If you want a natural approach to infertility, with the help of a naturopath, give Dang Gui a try. It can also help with heart-related problems including hypertension. Integrative medicine is more than just a doctor prescribing medication and sending the patient on their way. When you want treatments that will have real effects, try naturopathic medicine. This type of medicine combines holistic health, natural remedies, a balanced diet and exercise and a relationship between doctor and practitioner that benefits the patient. With these Chinese herbs, it is important to have someone who knows how to use the medicine and how it affects the body. Our bodies are complex and every new medicine should be approved by a doctor or health coach. At Bliss Wellness Center, we want to give you natural treatments that will help you feel relief from the cause of your illness. Contact our wellness center today to experience a different kind of medicine.